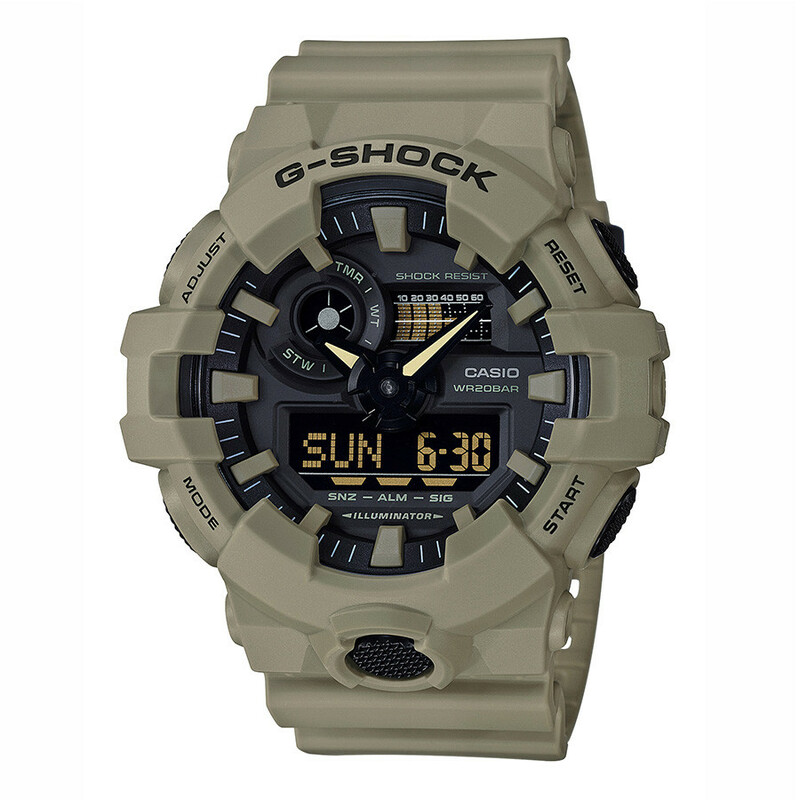 This G-Shock Analog-Digital men’s watch featuring a sand-colored resin band and casing has a black dial that contrasts in a way the portrays a fearless masculinity. This watch depicts a contemporary look with a rugged touch. Wear this timepiece daily and enjoy the resilient durability this brand is commonly known for. This Casio is fully equipped with magnetic resistance, stopwatch, countdown timer, world time, five daily alarms, mineral glass and of course the iconic GShock shock resistance and waterproof technologies. J.R. Dunn Jewelers has a 10-day satisfaction guarantee for all G-Shock products.